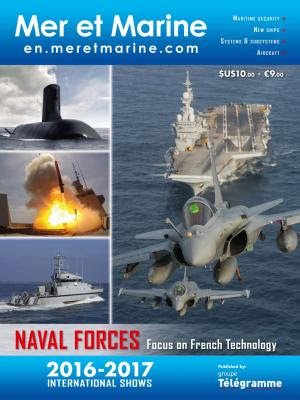 This 100-page magazine, published in English by Mer et Marine, focusses on naval and air/sea defence and maritime safety and security. The latest systems, equipment, technologies, vessels — from aircraft carriers to RHIBs and submarines — weapons, uncrewed vehicles, services and more. Includes descriptions of major innovations that will be presented by French companies at the Euronaval 2016 show in Paris. Advance orders now being taken. Magazine will be posted on 17 October, the day the Euronaval 2016 show opens.